And I let it slip on Wednesday that my birthday is coming up. I feel like as I get older, I don't celebrate as much. Some of my friends asked what I wanted to do, and I am not even sure what I want to do. Do I do a dinner with my friends around my birthday or just let it go by? I am celebrating with Rory on my birthday (birthday date night) and with my family that weekend (my dad's birthday is 4 days after mine). So anyways, I have been asked a few times when my birthday is and it is August 2nd. ONE. Ok the first isn't really a favorite, but just a thought. I, like others, are over this season of the Bachelorette. While I like Becca a lot, it just has been pretty boring. And this upcoming episode is the Men Tell All. I used to love this episode, but now it bores me. I just want to see the finale. And if you know who wins/gets her heart, don't spoil it. I am not reading the spoilers. But I will say that I want Garrett to win because he is from Reno and that is where I live. I have a lot of friends who know him pretty well and say he is a very nice guy. I have also seen all the controversy on his twitter/instagram. I think Becca's statement and his statement took care of that. So moving on. I do like Blake because he reminds me of Miles Teller (looks wise) and I have a huge crush on him. So either way, it is a win. But mostly, I just can't wait for Bachelor in Paradise. Those are so much fun to watch. TWO. 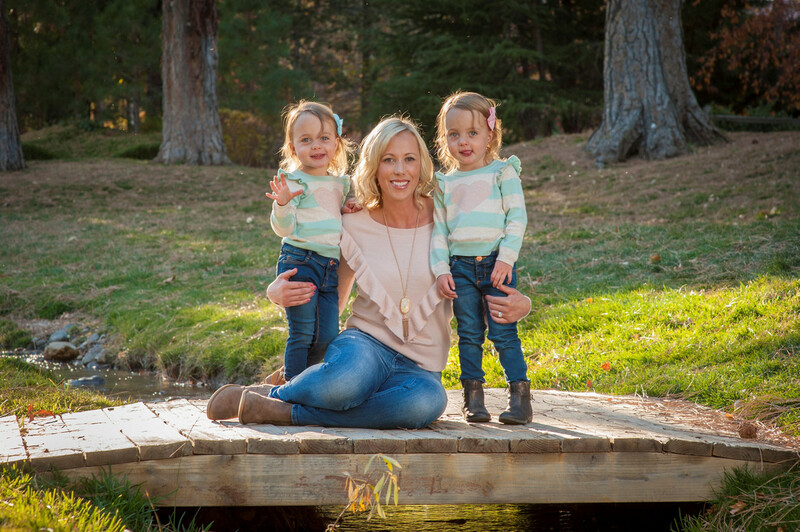 Yesterday Jen from Marathons and Dog Tags did a post where she said to ask her anything. I have seen that around on Instagram and I love this idea. It is a way to get to know someone more and even gets tips and advice. I will compose a list of questions and answer them next week. THREE. So we have been doing some research on vacations next year and I think I narrowed it down to where I want to go....Yellowstone. I have never been and it isn't even that far away from us. My co-worker goes all the time and he has offered to help us plan out an itinerary and recommended places to stay, etc. I am actually really excited about this and can't wait to share it with my girls. FOUR. So I wanted to give you all an update on my CT Scan. My scan showed that I have a rightward deviated septum with a right septal spur. This is all in addition to the collapsed nasal value in my nose. So my doctor sent everything over to my insurance and now we wait. I did what any normal person does and I googled a lot about the surgery, recovery and what not. I even watched a video. Yep. Don't do any of that. I am a bit nervous and almost didn't want to go through with it, but I know I need to. I need to breathe right. I need to not be sick all the time. And I need to get enough oxygen when I sleep (this is a huge one and might be the cause on why I am so tired all the time...kind of like sleep apnea). Also, have any of you heard of using arnica for healing, bruises and swelling? Why hadn't I heard of this before? FIVE. Have you ever wanted to spy on your dogs when you are away? The thought has always crossed my mind, but I never did it. Or maybe when the babysitter is with your kids? My friend, Stacey, showed me her new Cloud Cam when I was over at her house last weekend and I sooo want one. Especially after our house was burglarized several years ago. I want to see what my dog is up to all day and make sure no one breaks in or steals our packages, etc. 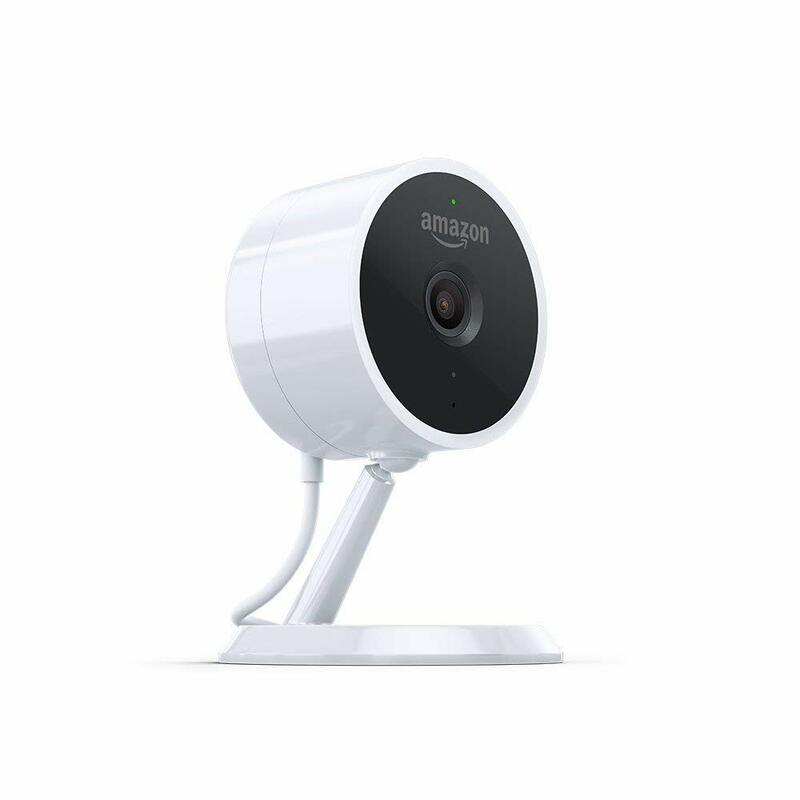 Stacey bought the Amazon Cloud Cam, but I want to know if you found something you like better. Send me your suggestions, experience, etc. You are definitely right. I should do something. I will send an invite out to my friends this week and see what we can make happen. Thank you for the push to do it! See that is what I really wanted to know. Whether I should take the oral version or the cream. I will buy the oral version this week. Glad I am not the only one who loves that show. We will definitely have to chat about it weekly. Yellostone would be so much fun! I haven't been but I've been wanting to add more national parks to my travels. 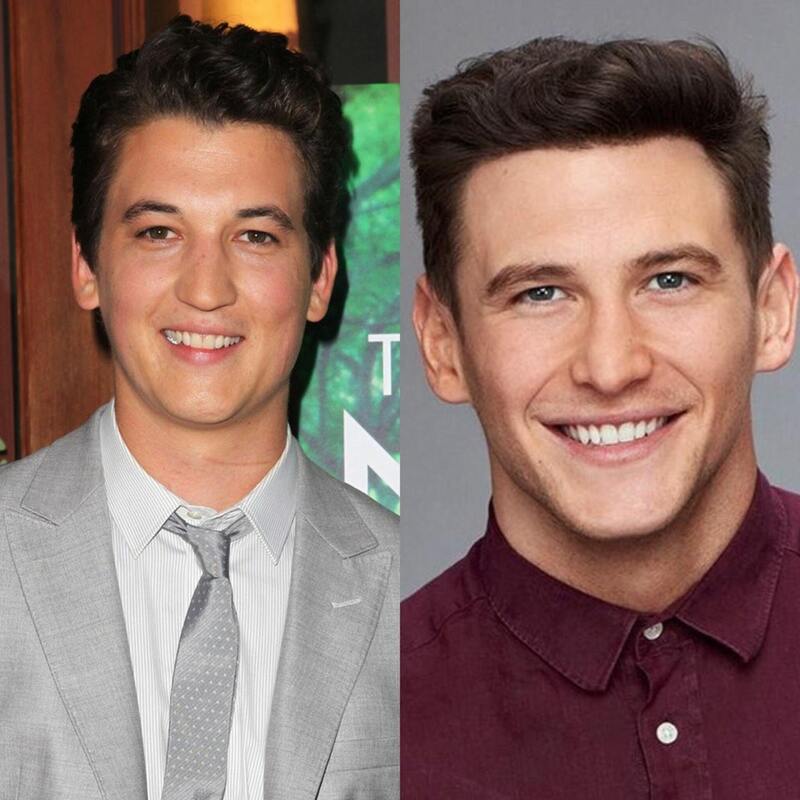 I didn't realize how much Blake looked like Miles Teller until you put them side by side! Happy Friday! It has been on my list too. Haha. They really do look alike right?! I will look into Arlo for sure. Thanks for the recommendation. Oh what movie or show was that? You are too sweet. Thank you so much! Have you ever seen my IG Stories where I watch my dogs all day... & see all the stuff I'm screaming at them through my phone for ;) haha (they can hear us talk through our cameras) - I love our cameras. I watch the dogs all day long - heck, all my coworkers come by my desk during the day to check on the dogs & watch them too :) haha. Best thing we've ever gotten. I am glad to hear people say Garrett is a good guy. He wouldnt be my pick because I think the way he talked about his ex-wife was so off putting - but heck, to each his own. I just love Blake though. I think he is truly madly deeply in love with Becca. & good luck on your decision on your sinuses. I know it may be scary, but if you think long term, it will make life easier, wont it? I sooo want the camera. Not sure which is the best though. Haha. I watched way too many videos. Such a bad idea. At least I am not the only one who does that. Thank you for the push to also celebrate my birthday! Oh Rory and I are celebrating, but my friends are asking me what I want to go out and do with them. Haha. I only got on that train because I would have girls night and my friends talked about it and I had no clue what was going on. Now I am hooked and it is stupid. Ha. How did I not know about Arnica before this? Thank you. I will definitely be going out with Rory for my birthday. Crazy that it creeps up so quickly. Ha. We have some cameras around our house, I have found that a lot of brands can give you issues from time to time and there isn't really a perfect one out there. I forget the brand that we have. I do love being able to log in and see what is going on our house if we know a storm is blowing through, or when we are away on vacation and we can check to make sure everything is ok. Yellowstone would be such a fun trip! That is such a great idea. Do you have the feature that allows you to communicate both ways? We're going to Yellowstone too, you should totally go at the same time! LOL. I have heard of using Arnica but never have. I actually needed that when Simon fell on his head on July 4! That is how I remembered I wanted to go. When are you guys going? I was told the oral form is the best, so I am getting that, but I want the cream for at home for my girls. I want to go to Yellowstone so badly! It's definitely on our list for one day. I have been putting off that surgery for years, because I'm terrified :( Sending you lots and lots of good vibes!! I'm not going to watch The Men Tell All because honestly, I think it's just going to be Jordan fighting with David, Chris being creepy and Jason being weepy. I'm rooting for Blake, but I think she'll choose Garrett. And Bachelor is Paradise is always SOLID! You summed up the 2 hours perfectly. I am not watching tonight either. Ugh. I am happy with either guy winning, but I am super pumped for BIP! I’ve been so out of the loop, I’m sorry to hear about the breathing struggle. I so hope all goes well and you can live a better quality of life! Sleep and breathing while sleeping is important! My sister in law has a camera on their dogs for when they are away! They love it! Yes you have, but you have reason to. I miss hearing from you. Yes those are two very important things. Ha. I haven't watched any episodes of The Bachelorette this season but have been reading recaps from another blog. She says the same thing - it's been boring. I had deviated septum surgery about 10 years ago. Things may have changed since then and all results are different but I have to admit that the recovery process was painful. It took ten full days before I felt like I could function again. On the bright side, I no longer have sinus issues.